These findings are described here. These findings are breathtakingly important. 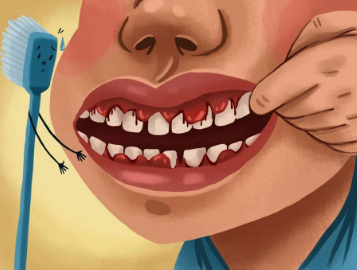 It is interesting that the article I cited does not mention the obvious importance of brushing and flossing as a way of preventing the problem. As I have often mentioned lifestyle – including brushing and flossing – are the most important determinants of health, but our system and culture de-emphasize lifestyle and instead emphasize treatments. The treatment is of course hugely important but if this article is correct, better oral hygiene may mean they may never be needed.